person’s emotional or psychological medical diagnosis. Register your Dog or Cat here, fill out the form and pay the administration fee. 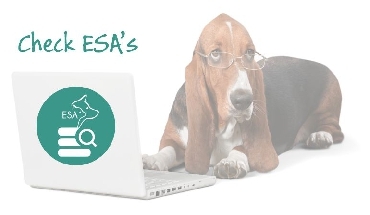 Check an ESA registrations on our ESA registration validation screen. Music especially made for your pet's relaxation and calming. 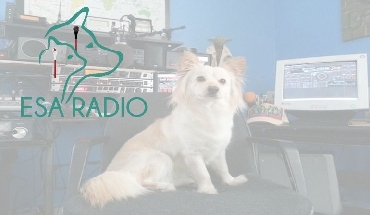 Podcast Music especially made for your pet's relaxation and calming. Videos especially made for your pet's relaxation and calming. All domesticated animals may qualify as Emotional Support Animal / Companion or a Mental Wellness companion. They can be any age. - REGISTER HERE - These animals do not need any specific task-training because their very presence alleviates the symptoms associated with a person’s psychological/emotional disability as your companion, unlike a working service animal, assistance animal or therapy animal. The only requirement is that the animal is in full control in public and does not create a nuisance in or around the domestic environment. Register your cat or dog here. Please note that we are not a trained assistance animal organization, not affiliated or linked to any government department, we are a private emotional support animal companion registry. Listen to our scientific music to relax your ESA when they are home alone. Businesses can check that the ESA ID card registration is valid. Here is the list of ESA friendly supermarkets, hotels and restaurants.